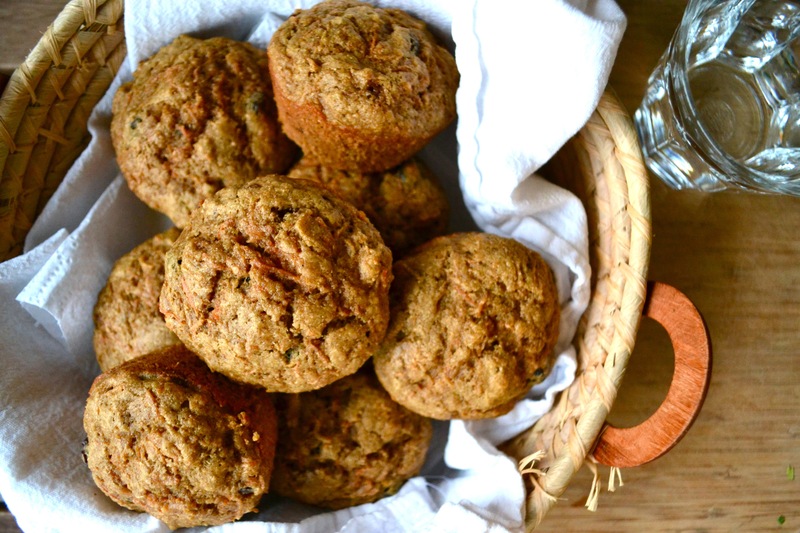 These moist and yummy muffins make a great addition to breakfast. 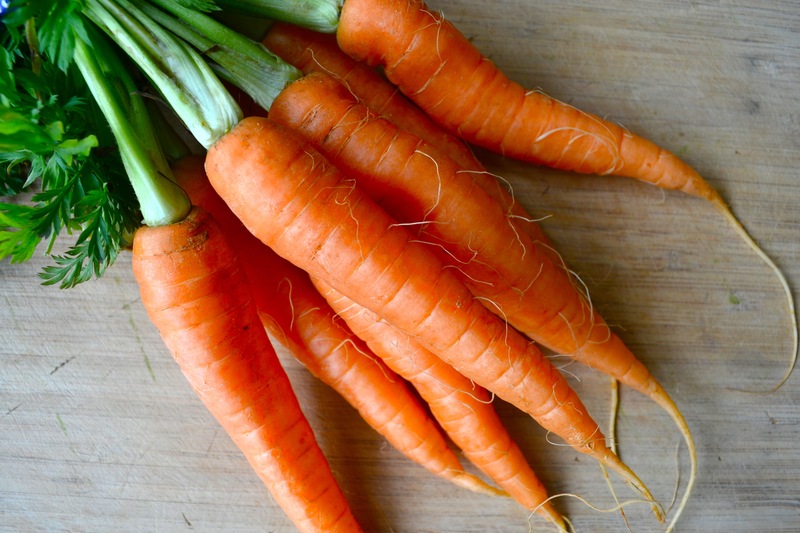 They use very little sugar since the carrot and raisins make them naturally sweet. Aside from the grating, you can whip up a batch of muffins in about 30 minutes including the cooking time. They taste best still warm from the oven like most baked goods, but they also keep nicely for several days when stored in an airtight container. I baked a batch right before we left last weekend for a two-day ski trip. 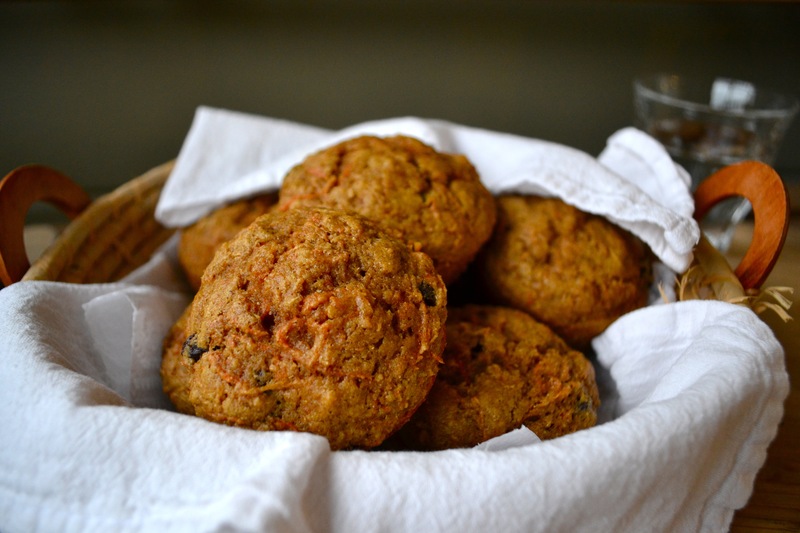 I also find these muffins make great school snacks for kids because you don’t need to prep them with honey or jam since they’re naturally sweet. Just remember to omit the nuts if your kids attend a nut-free class or school like my youngest does. For an added treat, toss in a couple tablespoons of mini bittersweet chocolate chips thrown when you add in the raisins and/or nuts. Line a standard muffin tin with cups or lightly grease. I hope you have time to make them. They’re super easy and relatively guilt-free!